Following up on my post about the best releases of 2014, here is a Mixcloud compilation of some the best garage and psychedelic tracks to come out in 2014. The tracks are arranged roughly in order of preference. My favorite of the year is “For My Own” by The Mystery Lights. Posted on January 23, 2015 by Dead Man	in Dig the Now Sound, Mixcloud, Music. Tags: Best of. 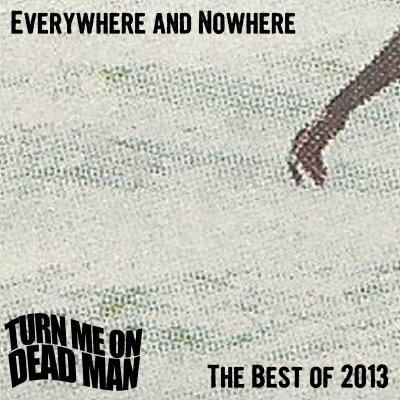 Following up on my previous post where listed the best LPs, EPs & 7″ releases of 2013, here is a Mixcloud compilation of my favorite tracks released in 2013. As I said last year, there is an ever-growing wave of excellent garage and psychedelic releases. I would go so far as to say we are living in a golden age. Bandcamp in particular has made it easy for bands to release their own material in a way that is relatively easy for fans to find. I just hope this run of great material continues. The tracks are roughly in order of preference with the obvious #1 being “Cannonball” by the People’s Temple. Just a great, great track. Posted on January 28, 2014 January 28, 2014 by Dead Man	in Dig the Now Sound, Mixcloud, Music. Tags: Best of, People's Temple. “Acidland” by the Laughing Soup Dish will be the featured track on this week’s edition of “Echoes in Tyme”, which airs at 10:00 PM eastern time on Tuesdays on Turn Me On, Dead Man Radio on Live365.com. The Laughing Soup Dish, long a favorite on Turn Me On, Dead Man, released only a single “Teenage Lima Bean”/”Rainy Day Sponge” (1985) and two LPs We Are The Dish (1987) and Underthrow the Overground (1990) before calling it a day. I came across a note on the Lost In Tyme blog written by Wayne Larsen of the Laughing Soup Dish in which he mentioned a bootleg cassette called Liquid Salad Dinner and other unreleased Laughing Soup Dish recordings. I contacted him and we’ve been corresponding for quite a while now. 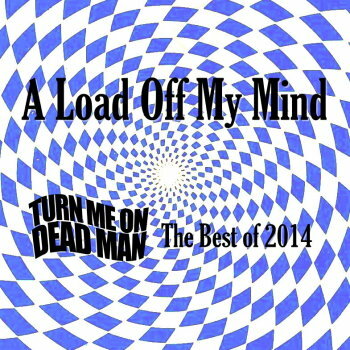 Turn Me On, Dead Man: I love the Laughing Soup Dish and I always have a couple of your tracks in the rotation on Turn Me On, Dead Man Radio. I’ve seen references to Liquid Salad Dinner in a few places (including your note on the Lost In Tyme blog) and I’ve been looking around for anything from it. Does Liquid Salad Dinner even exist? Wayne Larsen: Yes, Liquid Salad Dinner. Here’s the story. When the first line up splintered with Marc [Saxton] and Elena [Papavero] forming the Watch Children I felt badly that that era of the band would remain unknown except to the people who might have been at those shows so I went through my tape collection (in ’86) and put together live and basement tracks and gave them to John McBain (later of Monster Magnet). He had a small underground tape only little thing going called Cool Beans Records. Perhaps a 100 cassettes were made with a cover, a few made it overseas. In 2006 I was contacted by George Markou in Greece (Peace Frog, Gew-Gaw) who wanted an interview. I sent him a copy of the tape and he made it into a CD (I have a free standing burner and could have done it myself). A couple of tracks were on his Nowhere Street release. There is an alternate version of “Acidland” on there, too (I like it better than the one I sent to Voxx). Some of the tracks are on the Laughing Soup Dish Myspace page (the basement versions of “Teenage Lima Bean” and “Rainy Day Sponge”). “Pink Stainless Tail” is on there too, as you might tell from the first LP’s segues we were into The Parable of Arable Land [by the Red Crayola] and wanted to string the songs together in places a la free form freak out. Turn Me On, Dead Man: Sorry to say I never saw the Laughing Soup Dish live. Did you tour very much? Wayne Larsen: We never made it out of the tri-state area (NYC). We did a few shows in Delaware, in Newark. Turn Me On, Dead Man: The bio on your Myspace page says you recorded a third LP but never released it. Where is all that? Wayne Larsen: Most of the tracks from the Myspace page are from Liquid Salad Dinner (only “In Pieces” and “Grimble Wedge” are from the second LP). The track “Siamese Cat” and “Z-Man Is Watching” are from the unreleased third album which I finally burned to disc a bit over a year ago. You can see the return to the “house ambience” there. “Grim Finds” is a first LP outtake. Is Turn Me On, Dead Man a podcast or a radio broadcast? Either way, the airplay makes me happy. When I was in my 20’s and writing and recording this music I never would have thought that 30 years later there would still be interest. Turn Me On, Dead Man: Turn Me On, Dead Man is an Internet-only radio station. Recently I started thinking about the definition of psychedelia and that’s what led me to track you down. Most of the record guides and books about psychedelia and neo-psych take a stab at defining the term, but remain vague, perhaps intentionally so. Some time ago I ran across a book that took a different approach by discussing the characteristic features of psychedelic music in terms of how they replicate the effects of LSD. The book is called Sixties Rock: Garage, Psychedelic, and Other Satisfactions by Michael Hicks, and he breaks it down to the three Ds: dechronization, depersonalization, and dynamization. Basically he’s saying that psych generally slows down and stretches out the music (dechronization), cranks up the volume and makes heavy use of reverb to make the music seem closer and further away at the same time (depersonalization), and also includes, among other things, the bending, distorting and reversing of sounds that mimics the way objects become fluid while tripping (dynamization). When I read that, I immediately thought of your music, particularly “Acidland,” which is one of my all-time favorite tracks, by the way. The eerie sound effects are great and I love the way the ticking of the clocks gets out of sync, allowing the music pull down the tempo in such a fluid way. I’d like to know what your influences were and how you see the development of your music over time. Wayne Larsen: I find this information tantalizing to say the least. If I explore a piece like “Acidland” (my creation), I will be open about it. It’s obviously me describing my own experience with LSD. Time, it starts with the element of time, the ticking clocks, layered so that 3 or 4 clocks are going at once (out of sync as they layer in), then spatial sounds come in that sound almost like a demented horns (as on the only We Are The Dish outtake “Grim Finds”) horns (but is really effected guitar very loud, open tuned, through tape echo and turn backwards with varying of pitch), then backwards talking which is how voices sound sometimes in that state, garbled, a disconnect, then the actual lyrics which encourage us to step into this “other place” with talking animals and we can wear a new “open” face. It also trails off with this same sound wash of other worldly sounds (which take us up to heaven). The big influences here are “The Parable of Arable Land ” by the Red Crayola (especially the free form freak outs between tracks). The Golden Dawn Power Plant LP (found at a yard sale for a dime in 1980) was another big influence at this time, so those Texas International Artists records had an effect. I made “Acidland” in my house on a couple of 4 track machines and funny but people like it more than the one we went into the studio to do. Less time to experiment, layer etc. I see how the 3 D’s apply to a song like “Acidland”. Heavy reverb, the bending of sounds by varispeeding the tapes. No one else in my little seaside town were doing anything as weird as that. I hope I’ve answered a question if there was one there. Of course I was also loving the [13th Floor] Elevators at this time. Turn Me On, Dead Man: You mentioned that “Acidland” was your song. How many of the songs were yours? Who were the other songwriters and which songs were theirs? Did you do many songs collaboratively or did you tend to write alone? Also, I was just wondering why your two LPs and single have never had a digital reissue. Laughing Soup Dish has to be the trippiest music ever recorded! I love the trippiness, of course, but the songwriting is consistently strong, as well. My favorites are “Acidland” “No One Home” and “Sunrise”, “Weathering Strangely” and “Underthrow the Overground”, and “Teenage Lima Bean”. By the way, were you aware that comic book character goes by the name of “Lima Bean,” and since she’s a 14-year-old girl, the website is called “Confessions of a Teenage Lima Bean“? Wayne Larsen: Huh, yeah, the Cure had a bootleg live LP called Laughing Soup Dish and a song that sounds like “Sunrise” written after the dish track, and there was a band called Grimble Wedge. I like that Confessions of a Teenage Lima Bean, time is catching up. As to who wrote what. uh, Marc Saxton and Chris Schnieder wrote BEAN [“Teenage Lima Bean”], Marc wrote Sponge [“Rainy Day Sponge”] the flip side as well. I am playing lead and playing drums as well on that track. The first 45 was a bit of a hit in the N.Y. underground but in the norse countries it was a hit. The first LP was written by me with the exception of “Princess”, which is music Danny Mintz, lyric me. I wrote the rest. had to. so I did. The second LP, I wrote with the exception of “Grimble Wedge” and “Blood Sucking Creatures”, both duets with me and Jon Davies, former lead Secret Syde-r. So mostly I wrote alone but there are a number of songs by me and Jon Davies. Oh yeah, Chris Schnieder’s brother is Fred from the B-52’s, that didn’t hurt the Bean…. Marc wrote few good tunes for LSD that exist only on old tapes, live and basement. “Piece of You” “Entropical Fruit Punch” and a couple of others. I wrote by myself late at night with a microcassette recorder. There are still many songs undeveloped on microcassette. “Wild Seed” was one. Sometimes I merge a few ideas. Often when it got time to do an album. someone was seeing someone else’s girlfriend and I wind up making the records mostly on my own. With continuous turmoil in the group, a lot was put on me and I guess I liked it that way anyway. Why no reissues? Who knows, Suzy Shaw has the rights to them. Voxx didn’t re-ish them. Oh well, most of the LPs I hungered for as a kid were outta print, even the Velvets, so it doesn’t bother me. They are not expensive on ebay, they printed a LOT of them and they were available until the late 90s from Voxx. They kept the Lima Bean 45 in print until 2004, then it went around when Greg [Shaw] died. I still talk with Suzy now and then. Turn Me On, Dead Man: Your recordings have a distinctive atmosphere. What effects did you use to get that sound? How did you make those trippy sounds, particularly the ones heard in “Acidland”? How did things change between the first and second album as far as recording goes? Wayne Larsen: Well, the first LP was recorded by me in a stairwell of an old plaster walled farm house, the Soup Dish house. I play drums on some tracks as well (like Sponge) you or I can tell my drumming from Kyle’s. So the sound of the stairwell and the tiled bathroom were used. The backing masking tracks for the first LP were a long process in itself. I would de-tune my Firebird Gibson to an open chord, through a tape echoplex a big Marshall amp, then slowed it way down and reversed it (backwards). All sorts of sounds were collaged together. The thing that sounds like a big machine is this de-tuned guitar slowed and backwards, then layered with 10 more of the same thing making a wall of sounds. I was able to make almost synth type sounds by using other this method. In the time from 1985 to 2000 we recorded quite a bit. The second LP was paid for by Greg [Shaw] and is a real studio so it sounds completely different. Turn Me On, Dead Man: How far along did you get on the third album? At what point in the process was it shelved? Any plans to perform or record in the future? Wayne Larsen: Well, see, by the time I recorded the third album material, grunge was coming in very strong. The trend was towards heavy heavy (not straight fuzz) but different music was coming to the fore. It left no room for the neo psych bands. I know the Ultra 5 went to Mexico and carried on but here it was a changing of the guard. There was a whole album’s worth of material recorded in a friend’s 8-track home studio. It was complete. I only have it on cassette (and a CD made from that cassette). The master might still be around somewhere. I never had it. I called Greg Shaw of Bomp and asked him if they might want to put it out. He had been so encouraging in the past, but at this time he was getting into some strange hybrid stuff and said he was no longer interested in putting out straight psych. After that I gave it up. With no label interest I drifted back into punk, my band the Straight Satans (any satanic reference being a joke) with Jon Davies of the Secret Syde and we carried on playing. Turn Me On, Dead Man: It seems I’ve been reading a lot about LSD recently. The book Mary’s Mosaic: The CIA Conspiracy to Murder John F. Kennedy, Mary Pinchot Meyer, and Their Vision for World Peace was a strange one. The idea was that JFK was having an affair with Mary Pinchot Meyer, who was friends with Timothy Leary. The three of them dropped acid together and the experience made JFK reflect on world peace and that began to affect his foreign policy decisions. According to the book, the CIA assassinated JFK because they had their own agenda abroad and JFK’s actions were interfering with their priorities. Not sure how credible this account is, but the idea of LSD elevating JFK’s consciousness is interesting. Another book that brought up LSD is How the Hippies Saved Physics: Science, Counterculture, and the Quantum Revival . By the 1970s, Cold War priorities had pushed the discipline of physics away from any philosophical questions about the nature of matter toward functional matters that had defense applications. Rebelling against this atmosphere of “shut up and calculate,” a group of young physicists at Berkeley wanted to revive the more theoretical arguments that had driven the discoveries of relativity and quantum theory early in the twentieth century. They promoted the use of LSD in order to stimulate creative thought. As it turns out their unconventional approach led to important discoveries and they had a profound impact on the field. And then I ran across this quote by Steve Jobs in the recent biography of him by Walter Isaacson , “I came of age at a magical time,” he reflected later. “Our consciousness was raised by Zen, and also by LSD.” Even later in life he would credit psychedelic drugs for making him more enlightened. “Taking LSD was a profound experience, one of the most important things in my life. LSD shows you that there’s another side to the coin, and you can’t remember it when it wears off, but you know it. It reinforced my sense of what was important–creating great things instead of making money, putting things back into the stream of history and of human consciousness as much as I could.” And no one can deny that Steve Jobs has had a profound impact on how we live, work, play and communicate with one another. So I’m curious to get your thoughts on this. In what ways has LSD affected your life? Wayne Larsen: Ok, welllllllll, I took it for the first time when I was 14, the last time I took it I was 21. I am 53 now so……. it’s been a while but. the effects were profound. The first LSD trip I took was a good one. real “orange sunshine” so it was a really vivid, a lot of hallucinations. It was a pretty profound trip but, I was young and so it was mostly silly until I was alone later on in the trip, then I sat outside and was just feeling the breathing trees and all the green. I went to a Grateful Dead Concert in ’73 and took about 10 hits. I saw everything go black and and then all I could see were wild geometric shapes and just colors flowing. having taken that much LSD at once, I was tripping for 3 days. At one point I had this vision. I was floating closer and closer to this sphere of white light and I was afraid but then as I got closer I could see that the sphere was really made up out of a trillion stars and I felt better. I thought that all of those star point lights blending into a sphere made me think that that’s what the after life is all about. We came back from the concert and in the morning I came back to where I could function. It was 24 hours later when I remember me and a friend of mine went out to the woods by a huge lake with a foot of mist on it and set up a tent. So it was summer and we went out into the water and I could just feel that the water was a direct connection with everything… and the trees and green of it all. I think LSD allowed me to see below the surface of things, of matter and into structure, right down to the atoms. it made me want to hear and listen to music that my friends didn’t really like, they were into Aerosmith and I was into Syd Barrett’s Floyd, Lothar and the Hand People, early Genesis, like Foxtrot and before, Silver Apples Of The Moon etc. so it had a profound effect on me all the way around but for me a special appreciation of music off the beaten path. It kind of gives you that third eye and if you do enough tripping it stays open. You see into a deep understanding of things. If I could handle it I think that a good LSD trip might be a good idea, blow out the cob webs as I used to think. I had mushrooms but I haven’t taken any LSD since around 1981. ‘Shrooms give you a bit of insight and a trippy edge but not that soul ego shaking out and up thing that good LSD will deliver. The book on the 13th Floor Elevators “Eye Mind ” is a good read. They took LSD every time they played. I tried to play under acid one time and my mind just kept drifting off and I would just stop playing and stand there lost in thought with the rest of the guys yelling “Play, Play”. I named my band with the initials LSD in homage of what the drug can do, blow the top of the head and join thought with everything down to the last subatomic particle. Turn Me On, Dead Man: What do you think about the Laughing Soup Dish when you look back on it now? Wayne Larsen: For a long time I could barely stand to listen to it. Now with 20 or 30 years hindsight, I did ok. All I ever dreamed of was having a reel to reel 4 track and getting to release vinyl. I wished that in 1976. I can die knowing I have done what I set out to do. It was young and uninformed, it was making songs to make songs I had fun with rather than thinking “oh who will like this?” I was lucky to have good musicians to play shows with. Turn Me On, Dead Man: Thanks very much for taking the time to answer all of my questions, Wayne. Here’s a Mixcloud compilation of all of the unreleased Laughing Soup Dish tracks I’ve been able to pull together. Posted on February 21, 2013 October 10, 2013 by Dead Man	in Echoes in Tyme, Mixcloud. Tags: Echoes in Tyme, Laughing Soup Dish, Wayne Larsen. A highly specialized record guide is the wonderful Planet Mellotron, devoted to cataloging every appearance of the Mellotron in recorded music. The Mellotron, the forerunner of digital samplers, is a keyboard instrument where each key plays an eight-second tape loop of a pre-recorded sound, such as strings, cello, flute or an eight-voice choir. The idea for a musical instrument playing tapes by using a keyboard dates back to 1948 when Harry Chamberlin patented and began selling the Chamberlin. In the early 1960s a company in the UK began producing the Mellotron (melody + electronics = mellotron), an instrument that has been used widely in popular music. For a thoroughgoing history of the Mellotron, check out Streetly Electronics. To hear the individual sounds of a Mellotron, check out the Mellotron Listening Room at Mellotron.com. Though expensive, the Mellotron became a popular instrument in psychedelic recordings in the late 1960s (most notably by the Beatles on “Strawberry Fields Forever”), and played a major role in the progressive rock genre in the 1970s. In fact, the Gibraltar Encyclopedia of Progressive Rock calls the Mellotron “The quintessential prog rock keyboard instrument.” The Mellotron went out of favor in the 1980s with the advent of cheaper digital synthesizers, but it has enjoyed a resurgence in popularity in recent years, including Mellofest and a documentary film about the Mellotron called Mellodrama: The Mellotron Movie . I have discovered one Mellotron track that doesn’t seem to be on Planet Mellotron, the wonderfully trippy “Fire! Fire!” by My Brother the Wind (2011). The Mellotron begins more than 10 minutes into the track. Posted on January 29, 2013 May 24, 2013 by Dead Man	in Documentaries, Mixcloud. Tags: Mellotron, My Brother the Wind. As a companion to my previous post listing the best albums and EP/7″ releases that came out in 2012, I have put together a CD-length mix of some of the best tracks released last year. There seems to be an ever growing wave of excellent garage and psychedelic music being released and it was hard to make this collection of tracks come in under the 80-minute mark. Adding to this difficulty was my determination to close out this mix with the insanely great 23-minute track “Living in the Cosmic Nod (Improvisations)” by Earthless, who demonstrate superhuman psychedelic stamina. Other than the Earthless track (which defies ranking) the tracks are arranged roughly in order of preference, and I’d give the nod to Still Caves for “Dutch” as the Turn Me On, Dead Man track of the year. Posted on January 8, 2013 by Dead Man	in Dig the Now Sound, Mixcloud. Tags: Best of. Some time back I went looking for a YouTube clip from an episode of Space: 1999. All I could remember about that episode was that one of the residents of Moonbase Alpha entertained the rest of the crew hurtling through space with a sitar. Turns out it wasn’t a sitar, but rather an electric sitar, or more precisely a Coral sitar. And it wasn’t just any old member of the crew, but sought-after British session guitarist Big Jim Sullivan. In the 1960s and 1970s. Jimmy Page, who was also in demand as a session guitarist during this time, was referred to as “Little Jim,” so as not to be confused with Big Jim Sullivan. Jimmy Page is well known for playing on any number of British pop recordings before his days with the Yardbirds and Led Zeppelin. In a 1973 interview, Ritchie Blackmore doesn’t refute Jimmy Page’s claims to having played on many recordings, but he states that Jimmy Page played rhythm guitar in some instances. One specific example Blackmore cites is “The Crying Game,” in which Jimmy Page played rhythm guitar, while the lead guitar part was taken by Big Jim Sullivan. The lead guitar part was a “reading part,” a skill possessed by Big Jim Sullivan but not Jimmy Page, apparently. So anyway, after a little Googling I found the clip of Big Jim Sullivan playing the electric sitar on Space: 1999. In this episode, called “The Troubled Spirit,” a horribly disfigured figure is roaming the halls of Moonbase Alpha, and this is somehow related to a botanist using the hydroponics lab to conduct experiments on telepathic communication between humans and plants. Not a good idea, apparently, particularly when someone is playing a trippy solo on the electric sitar. Seeing this clip again confirmed that Big Jim Sullivan’s performance on Space: 1999 was as good as I had remembered–ethereal and mesmerizing. I wanted to hear more electric sitar, so, of course, I next read the Wikipedia entry on the electric sitar, which was, of course, informative. A number of different manufacturers have tried to make electric guitars sound like sitars. In 1967 Vincent Bell invented the Coral Sitar, which is essentially an electric guitar with a couple of adaptations designed to replicate the sound of a sitar. The unique design of this guitar feaured a set of sympathetic strings mounted on the body of the guitar and a “buzz bridge.” You can zoom in for a close view of a Coral sitar used by Rory Gallagher on The Rory Gallagher Instrument Archive. Vincent Bell recorded an entire LP cover versions of hits of the day using the electric sitar to demonstrate that instrument’s capabilities. Even though guitar-sitars may not sound exactly like sitars, the results never fail to be interesting, at least to my ears. The Wikipedia article helpfully listed several recordings that used an electric sitar. The electric sitar enjoyed great popularity in the late 1960s and early 1970s, and it was featured on several hit songs. The novelty of it wore off and tastes changed, but the electric sitar never really went away (I never would have guessed that Eddie Van Halen had used an electric sitar for the solo in “Ain’t Talkin’ ‘Bout Love”). It seems that the electric sitar has made a resurgence of sorts in recent years, and I found several tracks featuring the electric sitar from the last ten years or so. So I put together a compilation of tracks using electric sitar and posted it on Mixcloud. I couldn’t leave out “Green Tambourine,” because Vincent Bell played on that track. To be honest, I’m not entirely sure that all of thes tracks use an electric sitar (as opposed to a real sitar) but the sitar sounds add to the allure of these tracks. Posted on January 25, 2012 by Dead Man	in Mixcloud, Music. Tags: Big Jim Sullivan, Black Angels, Electric Sitar.